The Foreign Minister of Greece George Katrougalos wrapped up his visit to the United States with meetings in Washington, following his participation to the NATO 70th anniversary Conference. Katrougalos’ final meeting was with the Deputy U.S. Chief Technology Officer and Deputy Assistant to the President at the White House Office of Science and Technology Policy, Michael Kratsios, with whom he discussed possible fields of cooperation, following the successful participation of the United Stated in the Thessaloniki International Trade Fair, on September 2018. Earlier on he met with a delegation on representatives on major Jewish American organizations and the consultant of UN Secretary General to the Cyprus negotiations, Jane Fall Lute. With the American Jewish organizations Katrougalos discussed the strategic relationship of Greece and Israel and the trilateral collaboration between Greece, Cyprus and Israel. The strategic plan and geopolitical vision of Greek foreign policy to strengthen regional stability and cooperation in the Balkans and the Eastern Mediterranean dominated the speech given by Greek Foreign Minister George Katrougalos at the Transatlantic Leadership Network think-tank event in Washington. At the event, held at the NATO Foreign Ministers’ Summit, keynote speakers included Katrougalos, Transatlantic Leadership Network Chairman Michael Haltzel and ERT correspondent in Washington Lena Argyri, who stressed that Greece should to be treated by Washington as a stable and reliable ally, regardless of how the other alliances are evolving in the region. On his part, Katrougalos began his speech referring to the abiding values of Greek foreign policy, which, as he said, are based on respect for international law and the recognition of modern liberal international order. In this respect, he pointed out that Greece supports its active policy in these key pillars, having as its main objective to become an exporter of stability throughout the wider region. “We tried to export the stability we have as a nation, in a very unstable region. There is a triangle of instability that starts from Ukraine, extends south into Libya and ends east in Syria. In this part of the world, it is really necessary to have diplomatic efforts to create an environment to promote security and stability,” he noted. Katrougalos explained that the initiatives concerning the various multilateral co-operation schemes in the Balkans and the Eastern Mediterranean are part of this broader vision, as they seek synergies to strengthen economic cooperation and stability in the region. The Greek minister noted that Greek-American relations are at the best they have been in recent history and added that the United States now recognises in practice the upgraded geopolitical role played by Greece in the region. According to Katrougalos, this upgrading of bilateral relations is due to the “full alignment of the interests” of the two countries. As he explained, this identification is due to the stabilising role played by Greece and to their common interest in enhancing the diversification of Europe’s energy sources. Foreign Minister George Katrougalos met with US Deputy Secretary of State John J. Sullivan on the sidelines of the NATO Foreign Ministers meeting in Washington. A State Department statement said both men affirmed their commitment to building upon the initial US-Greece Strategic Dialogue in December 2018. Sullivan recognised Greece’s role as a factor of stability in the East Mediterranean and the Balkans and acknowledged the success Greece achieved in energy projects relating to regional interconnectivity. Katrougalos also met with Jane Holl Lute, UN SG’s consultant to the Cyprus negotiations, on Friday. “I reiterated to Jane Holl Lute that Greece considers the Cyprus issue one of international law, and that we are committed to a resolution of the Cyprus issue respecting United Nations decisions,” Katrougalos said. 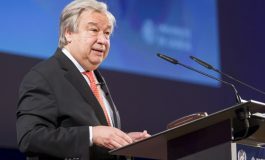 Greece recognises the exclusive jurisdiction of the two sides – the Cyprus Republic and the Turkish Cypriot community – to discuss their issues between them, he said, and repeated Greece’s consistent stance in support of keeping a UN peacekeeping force on Cyprus. The Prespes Agreement sends a clear message that differences can be resolved through dialogue, Greek Foreign Minister George Katrougalos said on Wednesday, at an event for NATO foreign ministers in Washington, DC. 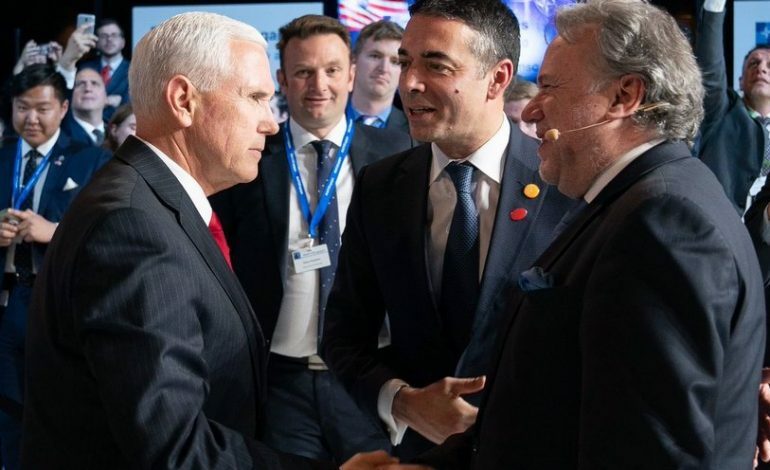 Following the discussion, Katrougalos had a brief chat with US Vice President Mike Pence. 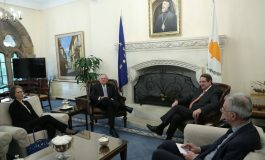 Foreign Minister George Katrougalos on Tuesday met with Matthew Nimetz, the former United Nations Special Representative for the now resolved naming dispute between Greece and North Macedonia. “We had a meeting with Nimetz, to whom both sides show respect for his efforts over all these years. As you know, he has resigned and does not have an active role, but this is irrelevant to the obligation we have to talk to him and gain from his experience,” Katrougalos said to the Athens-Macedonian News Agency (ANA). The meeting was held on the day of the historic visit of Prime Minister Alexis Tsipras to Skopje. “This visit was correctly called historic,” Katrougalos said. “It is not only that agreements have been signed, some of which are really important, such as those for military cooperation. 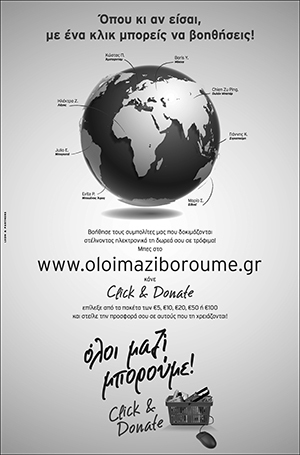 Greece is responsible for covering the military airspace of the neighbouring countrry with its own resources,” he added.